MBA FAQ - Your MBA questions answered! This MBA FAQ section will guide you through the business administration study options, MBA, EMBA and DBA programs. We will explore the education principles, the application process, the admission and the career development prospects. We devote our experience to providing you with the latest information about the business schools' teaching principles, their expectations from the candidates and professional development opportunities following the business administration studies. The acronym MBA stands for “Master of Business Administration.” The concept of MBA education and the associated study track dates back to 1961, when the American Assembly of Collegiate Schools of Business in the United States sought to introduce common standards for business education masters. Ever since, US and international business schools have developed the concept and maintained the high education standards, adapting the course content to the contemporary business environment. The competitiveness in business administration studies is reflected at both institutional and individual levels. World’s best business education providers compete for and receive an international accreditation of their MBA programs. The MBA programs curricula may be periodically re-evaluated and re-confirmed as accredited degrees. Read more about the AACSB, Amba and Equis - the accrediting bodies of business administration studies! Who are the typical applicants to business administration programs? The applicants are business enthusiasts with acknowledged entrepreneurial initiative, whose management success has been proven in practice throughout a long experience as leaders. Many of the MBA and EMBA applicants are senior managers or have years of experience in top-management positions. Depending on the MBA program focus - in general management or industry-specific -, the course content and the level of training is suitable for managers with different responsibilities. One of the overarching goals of the MBA education is to provide candidates with interdisciplinary training options, thus making them able to perform in more business activities or industry sectors. Candidates with good academic records and positive recommendations from their managers choose the MBA education to better prepare themselves for the higher level management responsibilities. How does an MBA program differ from a regular Master programs (MSc Or MA)? Similar to the Master of Science (MSc) and Master of Arts (MA) degree programs, the MBA is a graduate level study track to which only applicants who completed their first cycle of university education (earned a Bachelor Degree with the minimum number of credits) are eligible. Unlike the MA or the MSc Programs, the MBA focuses on the practical component of training, paralleled with practical business experience, which often includes practical decisions for the real business environment and management projects implemented on the 'real' market. What is the difference between an MBA and EMBA program? The Executive Master of Business Administration degree program is designed for senior managers with a longer career in management. The difference becomes clear in the admission requirements - the minimum management experience that allows candidates to enroll in MBA programs is typically 10 years, while the MBA applicants can fulfill the entry requirements with 3-5 years of experience. How to decide which MBA program is suitable for me? Based on your prior experience and business profile, the location of your company and your disposition to travel, you can select MBA on any continent from a wide variety of specializations. Depending on your career requirements and how intensive you want your education to be during the upcoming 18 to 24 months, you can select distance learning options, online MBA programs or a part-time study track. 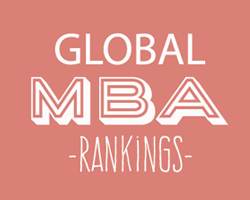 How to evaluate different MBA rankings? Business schools rankings and program-specific rankings are updated every year, by the accrediting institutions and publications specialized in business. The ranking systems varies, but the most important criteria are the average GMAT scores of accepted candidates, their years of experience, the international class profile. Teacher to student ratio is a good indicator of the level of in-class interaction during seminars or lectures. The MBA teaching style usually goes beyond the academic standards – faculty members become actual business mentors of their trainees and help them find practical business solutions. The pro-active thinking and critical strategizing constitute the mental framework cultivated by the MBA education. Candidates and the faculty engage in fruitful discussion around current business topics. If your role model in business is part of a business school faculty choosing a program at that institution can bring you closer to your mentor. How to get in touch with the business schools? You can contact the admissions office of each business school and the program coordinator by requesting information on their profile on searchMBA. Alternatively, you can attend open house events hosted on campus or as virtual / online fairs. 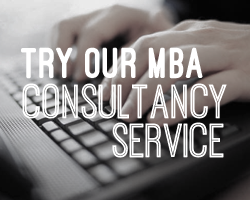 You can also get in touch with graduates or students currently enrolled in MBA programs. MBA fairs or tours bring together top business schools recruiting applicants from all over the world. Universities value the international profile of their applicants and aim at selecting the best applicants from the most varied places. Which are the entry requirements? The most common entry requirements include a standardized assessment test, documented experience in higher management positions, undergraduate and/or graduate academic records and letters of recommendations. In addition to the tests results, professional experience and academic transcripts, prestigious business schools have recently introduced admission interviews. Upon submission, your application is evaluated by an expert commission including members of the academia, senior course lecturers and business professionals from different industry sectors. All the admission criteria are weighted in the context of the business school's vision and its typical applicant's profile. The Graduate Management Assessment Test , the GMAT, is a standardized test recognized by the Graduate Management Admission Council and adopted as a formal admission requirement by accredited business schools and MBA providers worldwide. Read more about the GMAT Test here! How much does my professional experience weigh in the admission process? Your career in business and the current employment with high-level managerial responsibility are the essential parts of your application. Business schools are interested in your business profile and competitiveness on the market, as proven by your management results in practice. 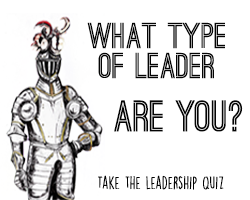 ‘How competitive is your business strategy?’, ‘how satisfied are your customers?’, ‘how did you improve the corporate culture at your workplace?’, 'what big challenges have you met throughout your career?' can be some of the business practice questions assessed during the admission process - on the application forms or face-to-face with the admission officer. What does the admission interview cover? The admission interview is your opportunity to shine in front of your future professors and business mentors. Your interviewer is typically interested in finding out more about your long-term plans and how you would put to good use the knowledge acquired during the MBA program. Referring to prior business experience and entrepreneurial vision, you can impress the admission officer with your work in progress, the novelty factor or the international business profile that would contribute to the learning experience in your class and your MBA generation. Who should provide my recommendation letters? Current employers or business peers, members of academia who assisted you during previous studies or business projects can always support your applications by submitting recommendation letters. The submission procedure varies from an institution to another, but most of the business schools warn their applicants whenever recommendation letters need to be accompanied by standardized evaluation forms or be sent separately. Typically, your reference persons submit their letters directly to the office of admission. What are my chances to get acceted into an MBA program? Depending on where business schools set the bar, the selection process can value different aspects of their applicants' experience. Universities value the international profile of the applicants, their cross-border visionary ideas for business and the impression made during the interview. However, many business schools set the maximum number of intakes per year to a very low. Top programs receive very few candidates per year - being interested in a close teacher - student interaction - , which makes the admission more competitive. Online MBA programs or part-time study options are more flexible with these digits and concentrate on diversity and interaction in their (virtual) classrooms, while maintaining an optimal teacher to student number ratio. Which is the average cost of an MBA? The tuition fee varies with institution, accreditation and location, pace of learning, international exchange opportunities and the specialization of MBA programs. The costs of the top MBA programs usually exceeds 100, 000 USD dollars. Living expenses are usually covered by applicants themselves or in separate agreements with the university housing, when lectures are held on campus at an intensive learning pace. What MBA funding options are available? Corporate sponsorship is the most common option of funding and also the most recommended one by the business schools and MBA graduates. Alternatively, other private organizations interested in your academic profile which are willing to recruit you in a business management position upon graduation can provide you with partial or full sponsorship. Note that this option involves an individual agreement between the applicant and the funding company and it does not involve any official agreement with the business school. Merit-based scholarships: Based on the funding available, business schools offer merit- based scholarships to a limited number of applicants, which typically cover a part of the tuition fee. The application process is outlined separately from the admission application. Depending on your chosen study track, you can earn your Master in Business Administration in 18 to 30 months. The full-time study option includes on-site lectures, seminars, workshops during the 3 to 6 semesters of study. Ambitious candidates can also choose an accelerated learning track. The part-time MBA allows candidates to follow their careers' duties in parallel. They meet the faculty only several times during the semester, but complete all the course assignments. Depending on the number of credits acquired, candidates can extend or accelerate their learning track. What study exchange options are included in business administration programs? The ‘next big thing’ of MBA education is the study on more than one continent in international groups of students. The varied options of study abroad allow an intensive exchange of practical experience and actual implementation strategies pertaining to country-specific business climates. Candidates can choose dual / joint degrees provided by two or more institutions, typically in different countries or continents. Additionally, applicants have the liberty to choose where to spend a semester abroad or make internship abroad. Upon completion of their MBA or EMBA studies, business school graduates are registered in the alumni network of the respective university. Members of the alumni netwok keep in touch even decades after their graduation. Sharing impressions, career updates and job recommendations are excellent ways to build upon your class experience and keep a high profile in your class of graduates. Alumni networks bring together different generations of MBA graduates that continued their successful career in business administration and are willing to share insight with their former colleagues. NEW: Read more about the academic and professional opportunities connected to the alumni network here ! How does an MBA degree improve your career prospects? The main reward of graduating with an MBA degree is the practical business knowledge acquired, rewarded with a significant increase in salary. Graduates of our recommended MBA programs and executive masters report an salary increase of over 150%. Read more about the salary increase upon graduation with an MBA degree here! What networking opportunities does an MBA program offer? Given the competitive selection process and the diversity of the applicants' pool, the MBA study is a great time to set the bases of new business collaborations with your colleagues. The practical orientation of the curriculum and even the course work demands applicants to engage in new management projects, to be continued in practice after graduation. Your experience and opinion about the business administration studies are extremely valuable. If you have any study-related questions or want to contribute to this guide, contact us with your suggestions.